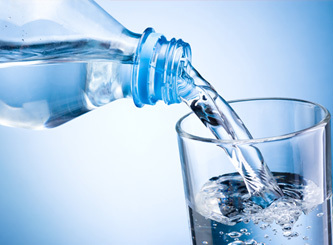 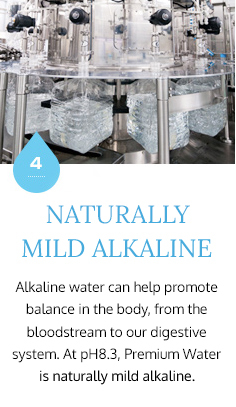 Water is essential for health and well-being, from metabolism to temperature regulation, so it’s important to have a daily drinking water that provides maximum nourishment. 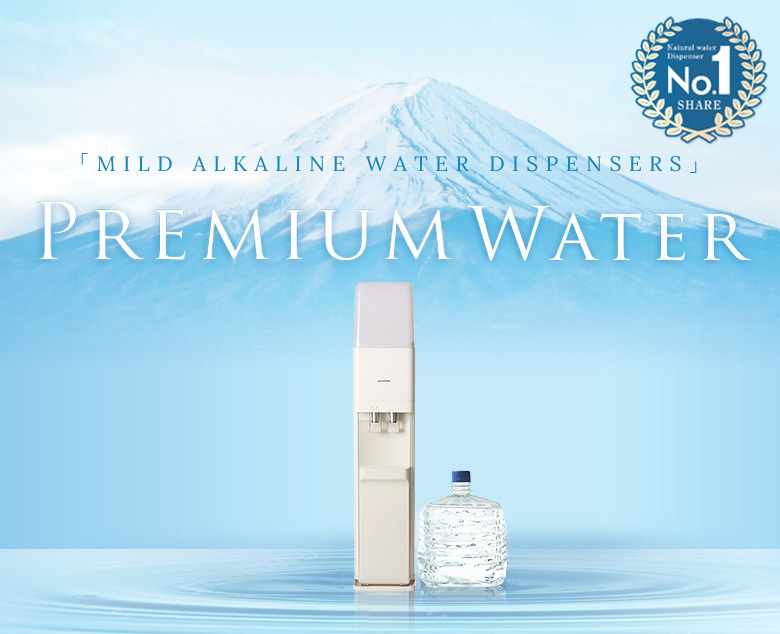 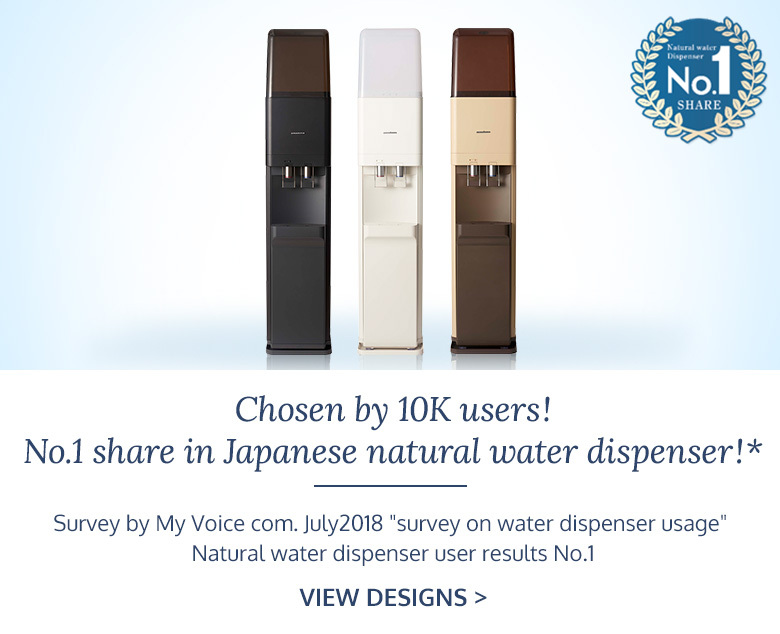 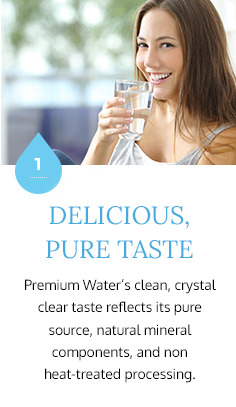 Premium Water is a Japanese water dispenser and delivery service providing convenient access to high quality, natural alkaline mineral water. 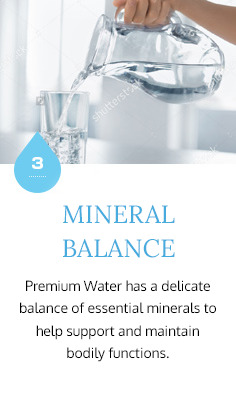 Our water is sourced from Mt. 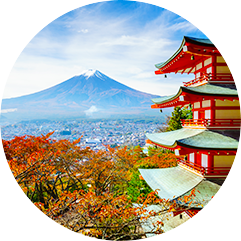 Fuji in Japan, where it passes over volcanic rock, is naturally filtered, and picks up key minerals. 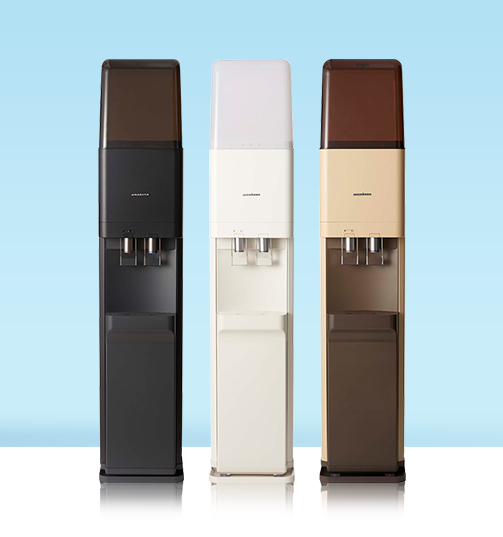 Premium Water’s stylish dispensers are available in four colors and two sizes, to fit all spaces. 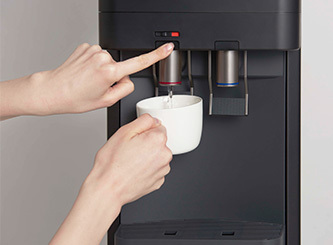 Beyond looking good, they are equipped with many convenient functions like HOT and COLD taps, and an ECO-mode to save on bills and conserve the environment. 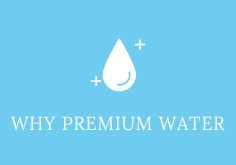 The innovative design of Premium Water’s dispenser bottles means that they dynamically compress as water is consumed. 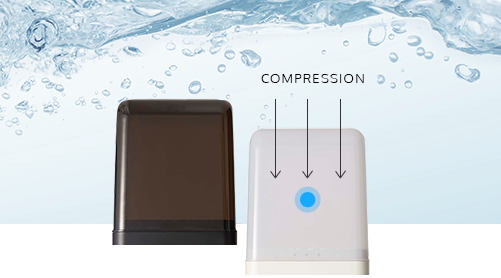 This prevents ambient air from entering, ensuring optimum freshness and purity. 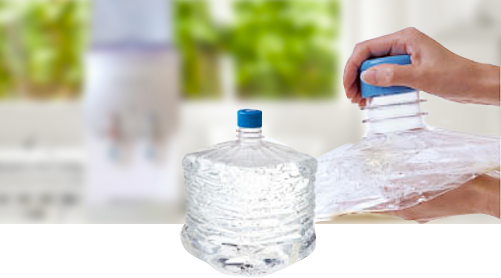 As Premium Water’s bottles are recycled with general household waste rather than collected and reused, our water is always delivered in the utmost sterilized, safe and clean environment. 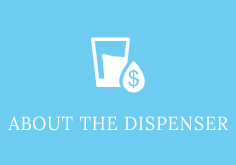 It also makes for convenient bottle disposal. 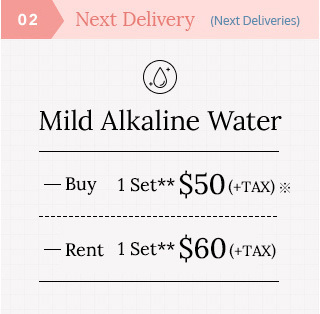 *Refundable deposit of $200 required. 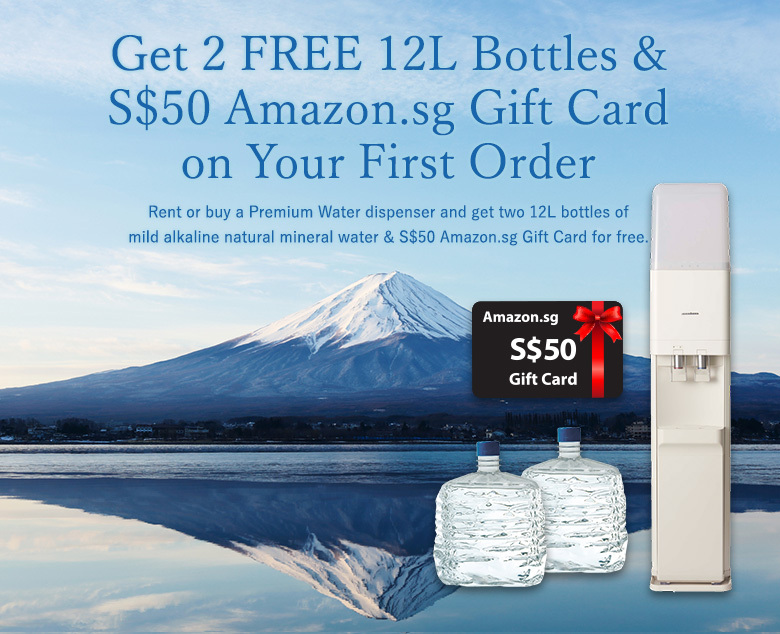 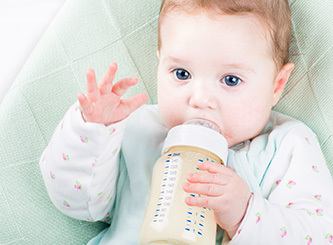 **Minimum delivery is 1 set (2 x 12L bottles) every 4 weeks. 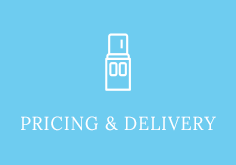 Amount and delivery frequency can be increased up to 10 sets once a week. 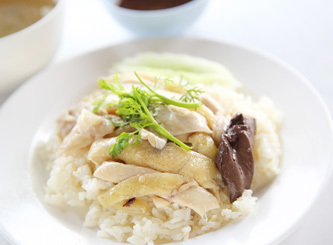 Service may be suspended for 59 days without charge. 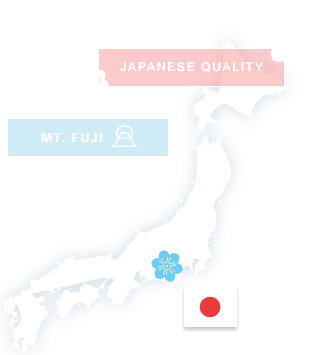 of Mt. 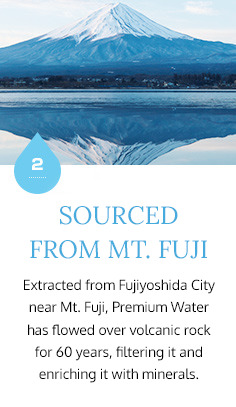 Fuji water in its natural state, with its internationally- awarded flavor. 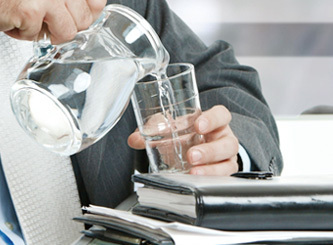 Business hours during year-end and new year period. 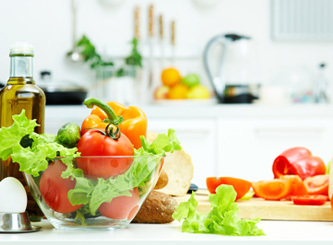 (recovered) About Credit card payment failure.